Welcome to February! I can’t even wrap my mind around the fact that January is already gone! 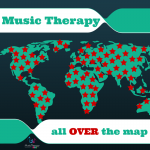 Music Therapy social media advocacy month (January) had a huge turnout with music therapy bloggers from around the country! 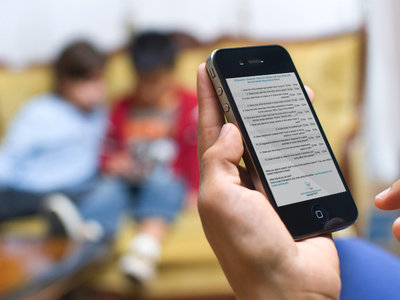 In case you missed it – read our contribution. This month I’m looking forward to some big events coming up locally. We are participating in several special needs resource fairs this spring. 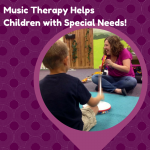 As always I am super excited to share Music Therapy Kids at because I know it will be helpful to lots of families! Live in the far north Dallas area? Come check it out! 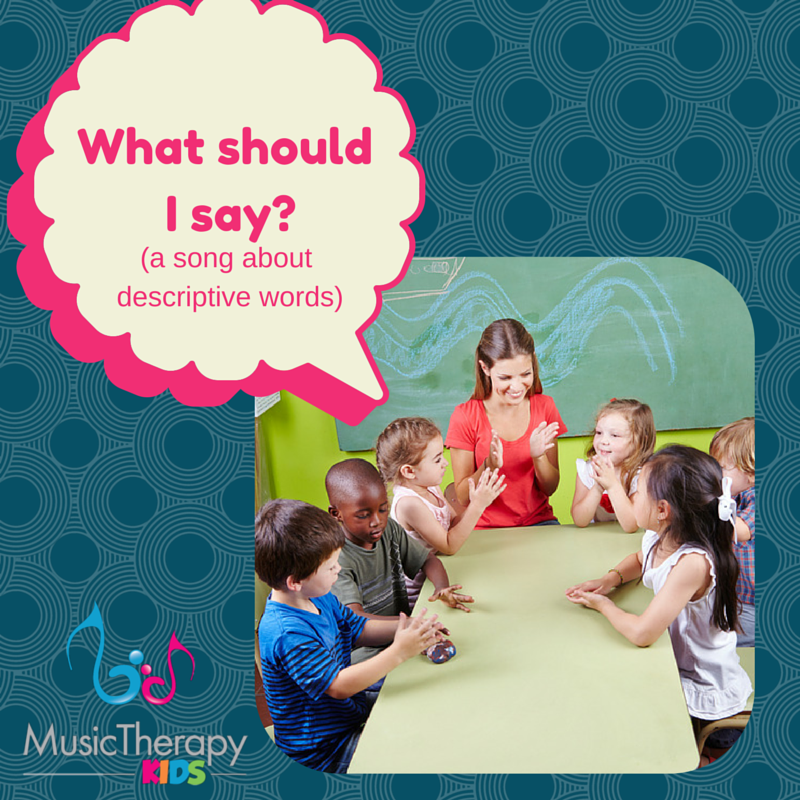 Today’s song was written to help expand a client’s vocabulary – in particular the use of descriptive words. She loves to say “big” to describe everything BUT might actually mean loud, full, or fast. Our goal is to begin to use the correct word in various situations! The key for me is always repetition. Sometimes information presented in song is grasped right away. Other times it takes singing it over and over for the message to sink in. You might benefit from gathering up some items so that you can add a visual or tactile element to show big/small or empty/full. 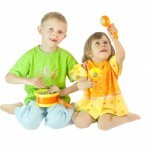 For loud/soft and fast/slow, pause the music and sing the repetitive line to reflect the volume of speed. I really wanted to do this with the recording and might add it in the future. I’ll admit, this song turned out to be quite long. Use the parts you need or consider purchasing a custom song with adjectives and target words that you select! 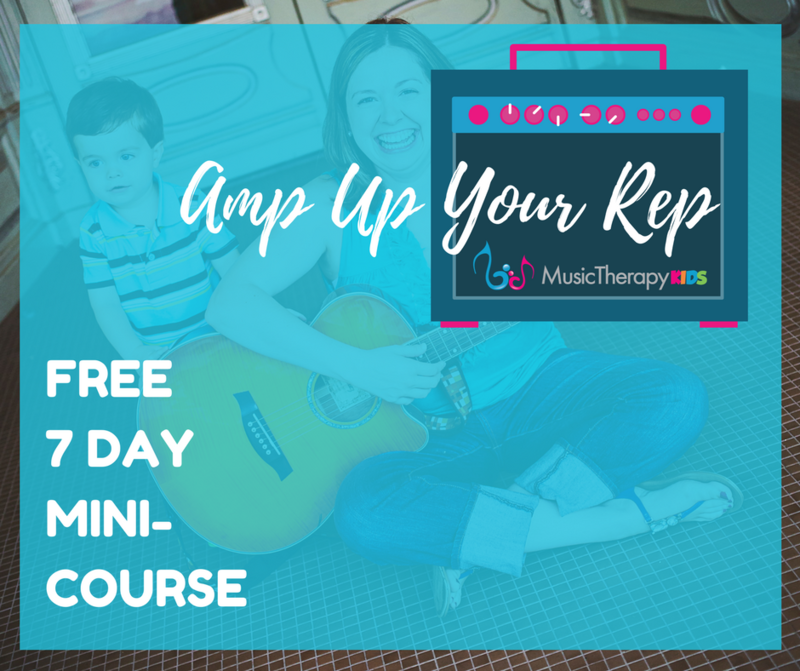 Want to get your own copy of the song, lyrics, chords, and fill-in-the-blank version? Check out our store! Are there other adjectives I could add? Or even write another song about? Comment below and I’ll get to work on it!